Due to the complexity of the design, these are 3D printed in stainless steel. 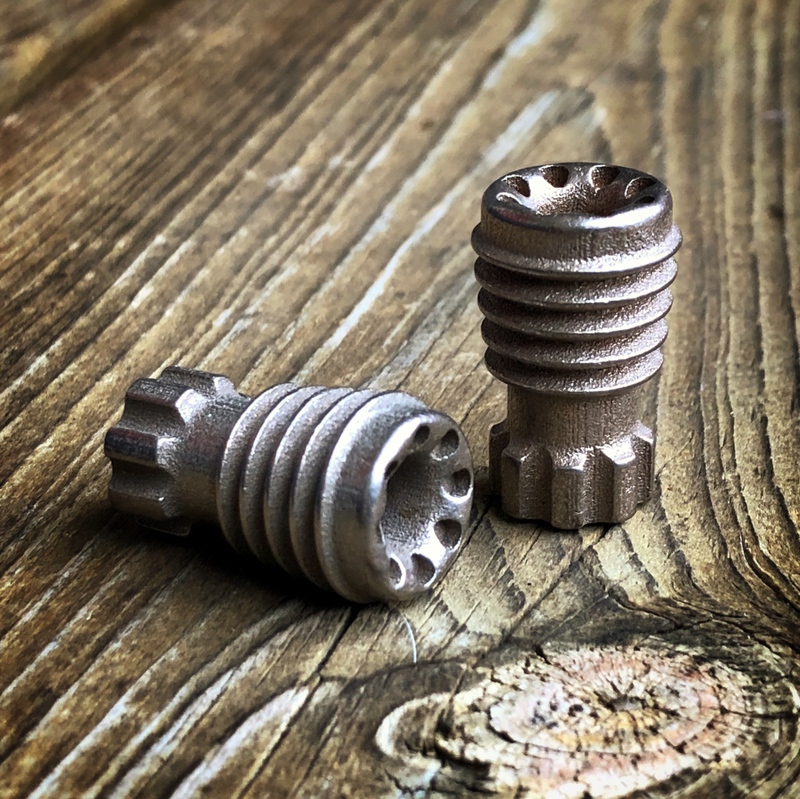 This 3D printed stainless has a small amount of bronze in the mix, so they have a warm color due to this added bronze. The Mk.II-S Ray Gun in 3D Printed Stainless Steel are $75 each, shipped to US addresses. US buyers can purchase using the PayPal button below. Buyers outside the US can hit the PayPal button to purchase and then contact me for a USPS Priority shipping quote at mark@raygundivision.com – Typically this ends up being an additional $15-30 due to Priority International cost, depending on location. Shipment overseas at via any method other than tracked Priority or Express is at the buyer’s risk.